With every passing decade, a new technology innovation comes along that changes the way we work and live. In the mid-20th century, it was TV, then personal computers, and on the heels of those PET and Commodores that allowed us to play Lemonade Stand and Oregon Trail, the internet emerged. At the dawn of the 21st century, widespread cellphone adoption emerged, and then tablets, smartphones, and wearables, all permitting us to take our tech with us wherever we go. For some perspective on the evolution of technology, an iPhone3GS (already several generations old) has four times the RAM and up to 500,000 times more memory than a Commodore 64 circa 1982. And just as processing power, speed, and storage capacity increases with each new technological advance, the adoption cycle quickens, too. It used to require up to a decade before people would embrace a new technology fully; today people clamor for the next big thing in a matter of a few years—or even months. The internet of things (IoT) is a prime example of this principle. What was just a sci-fi term a few years ago has become a mainstay in homes and the workplace. But how—and why—has IoT become so ubiquitous? What benefits does connecting many disparate devices across a single network—permitting these devices to exchange data without human intervention—offer to individuals, families, and, especially, to today’s businesses? 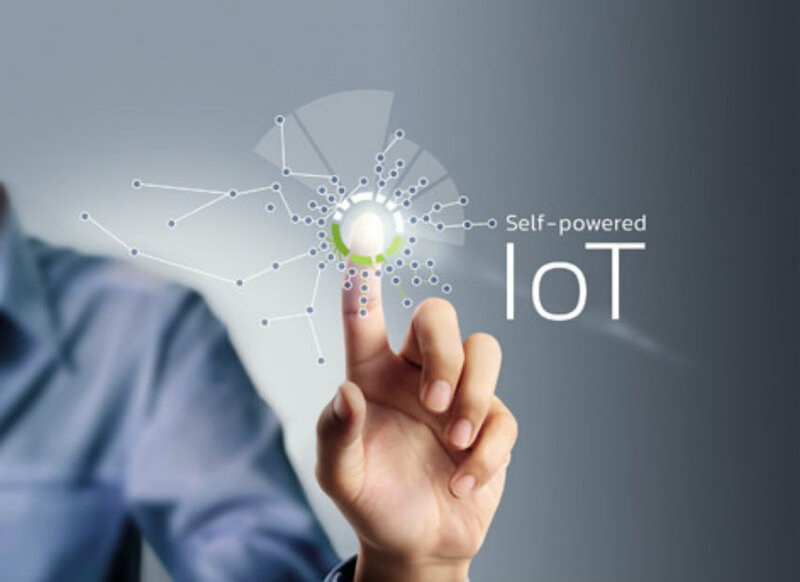 A recent Gartner survey found that IoT is expected to reach a 43 percent adoption rate by the end of 2016. Fifty-two percent of those surveyed noted they use the IoT to cut their internal costs and improve business efficiency. These are certainly two of the main benefits of IoT technology. Room monitoring technology that connects to HVAC and lighting systems can shut down systems when no one is in the room to reduce power costs. IoT-connected videoconferencing systems add convenience and efficiency to meetings with far-flung team members. And, especially in the manufacturing industries, connecting factory devices across a network can improve safety and efficiency. With so many benefits, IoT is hugely popular in the heavy industries and manufacturing, today. But as enterprises fully realize the potential in IoT, usage could soon grow to span every industry and discipline. As more industries—service, retail, and healthcare, in particular—begin to examine how the IoT can enhance the customer experience and increase sales, adoption rates will surge. Companies can improve the customer experience by providing 24/7 support for products, enhancing service through mobile apps, and increase sales by making it easy to use IoT devices to order products and services automatically through mobile apps or IoT-connected devices. For instance, Alexa—the voice-activated artificial intelligence (AI) within the Amazon Echo device—can already store your shopping list. Imagine an IoT-connected refrigerator at home or in the office breakroom, which sends a message to Alexa that you’re out of milk or bread. Alexa can then send an order directly to the grocery delivery service, bill a stored credit card and, within hours, milk appears at the door. Or imagine an IoT-connected printer that orders ink before the cartridge runs dry. These scenarios are all possible—and practical—through IoT technology. Within the service industry—especially IT and AV service—remote monitoring and management appliances and software make it easy for tech support to be proactive about solving technical issues—often before the user even realizes there is a problem. A projector bulb for your conference room videoconferencing system could be shipped—and installed by a technician—as soon as it’s needed, before the next big meeting. And if the network should go down, a remote service provider can easily reboot the network in seconds, without having to visit your office and further disrupt your day (or bill you for a service call). In the healthcare industry, professionals could monitor the vital signs of at-risk patients remotely and reach out if they detect a problem. The IoT, additionally, provides the means to capture consumer sales and service data for analysis, enabling marketers to deliver the right message at the right time and introduce products and services that fill real needs in the marketplace. With each passing year, the world around us becomes more connected, particularly due to mobile technology. According to the Ericsson Mobility Report, 16 billion devices are expected to join the IoT by the end of 2021. Between now and 2021, the number of IoT-connected devices is expected to grow by approximately 23% annually. Since we’re increasingly connected, consumers expect their devices to become smarter, faster, and compatible with one another—at home and in the workplace. Larger companies are already stepping up to the plate – a recent study shows that Intel leads the way in IoT adoption. Samsung is a close second, with a promise to make all of its mobile devices IoT-compatible by the end of 2020. Its work on a bio-processor that will be versatile enough to fit in range of mobile and wearable devices encourages collaboration across industries. As technology evolves rapidly, smaller companies should be making comprehensive plans for IoT adoption in order to realize the full benefits and avoid getting left behind. While many are beginning to see the value in IoT, smaller companies often lack a concrete strategy for adoption. Large-scale deployment requires a cross-functional approach: Every department—from IT to customer service to marketing—should be involved, because the IoT affects every aspect of business. Companies that work in individual silos may have difficulty fully embracing the IoT and all its benefits. If you’re ready to begin deploying IoT technology in your business, consider convening a task force with members from each department in your organization. Each member should play a role in planning, executing, and embedding this exciting technology. A professional technology firm can help by pointing you to the solutions that will help you execute your IoT strategy, integrating the necessary components, and training your workforce in order to maximize your investment.